God Really IS Great! Religions Poisoned Everything! Christopher Hitchens’ book entitled God is not Great! How Religion Poisons Everything challenges the popular view of God as a benevolent creator and loving father. He developed his view of God from the ideas propagated by religious institutions and his observations of the evil they have inflicted on humanity. Most will agree with Mr. Hitchens when he says truth is good for the human family and conversely lies are bad. He extends this thought to equate truth with observable fact and lies with religion. Religious institutions are in fact responsible for many abuses. Chief among them is the propagation of false blasphemous ideas, or lies about God. Deep seeded false ideas may appear benign on the surface but have resulted in evil of the most unimaginable and horrific kind which continues up to this day. He concludes religion is ultimately unfit for civilized society. Most people believe in an almighty loving God but are obscured by their religion and lack the proper foundation to believe it conclusively. Fearing the loss of their faith in God and unable to reasonably counter opposing arguments they simply reject any idea contrary to their belief. Instead they run back to their trusted religious leaders to interpret religious truths for them. Thus they are bound tightly in the comfort and security (or sense of security) of their religion. This is a precarious condition since everyone should be able to personally give a reasonable explanation for their faith in God. This is the first in a series of articles which intends to reinforce a reasonable faith in God while challenging the unreasonable religious doctrines. God really IS great! Religions poisoned everything! Religious institutions control of independent thought, inquiry and reason is a presumptuous act against humanity. Religious leaders are eager to assert authority over society by interpreting and presenting religious “truths” in an effort to convert as many as possible to their group, all the while subconsciously (or consciously) hoping they relieved their new adherents partially (or completely) of their reasoning faculties to question their authority. They secure trust by instituting pompous ceremonies, erecting magnificent structures, certifying so called “miracles”, adopting grandiose titles, and donning royal, or if better suited, humble attire to ensure they have a long and prosperous existence. Furthermore, these institutions maintain their own dictionary of religious words as they redefine common words and create new complex theocratic terms making it all the more difficult for someone to question their validity and possibly escape their powerful grasp of control. Should all else fail, they resort to fear, intimidation and terror to maintain control. An ominous fate awaited anyone who dared to question religious authority during the dark ages. The observation of these established religious institutions is the basis by which Christopher Hitchens concludes that religion employs medieval tactics of guilt, fear, control, credulity and superstition and is therefore unfit for modern society. Christopher Hitchens is throwing the baby out with the bathwater (pardon the cliche). For sure, the bathwater is murky and should be completely discarded and the bathtub scrubbed clean, but there still remains the baby, the possibility that religion and truth, religion and reason, religion and inquiry are not mutually exclusive. The Judeo-Christian Bible, Old and New Testament, will be used to show how religion can coexist with truth (observable facts), reason (logic that makes common sense), and inquiry (freedom to question). However, the Bible is not a step by step instruction manual. It can be likened to a puzzle with many pieces that need to be perfectly interlinked to view the correct picture. There are many pictures of God presented by the various religious institutions but usually the pieces simply do not fit well together and the resulting picture is confusing or worse, frightening! Others discard inconvenient pieces leaving empty spaces and an incomplete and unsatisfying picture of God. It is very difficult to fix a puzzle that is assembled incorrectly by moving a piece at a time to its proper place while the other pieces are not in their correct location. 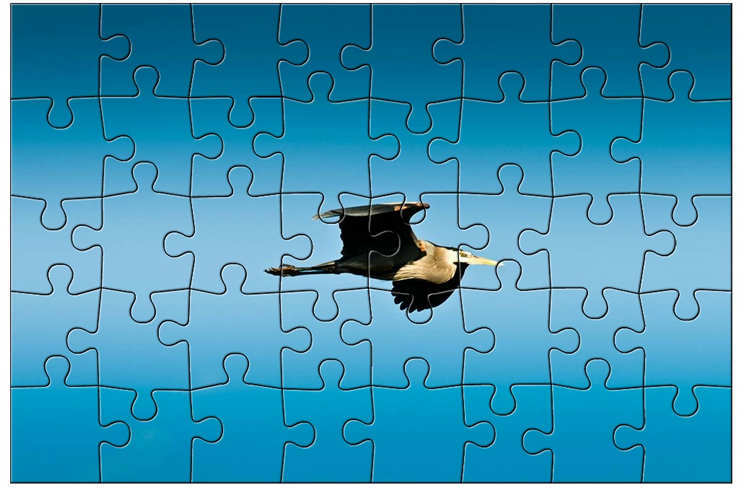 It is better to begin by disassembling the puzzle and carefully interlinking each piece to the other to reveal a beautiful picture of faith in a marvelous and great God. It is not the intention of these articles to convince anyone of a true religion neither can it answer all of the questions. The scope is to present a faith in God that is reasonable, fair and loving to all humanity.